Cover Reads: I'm Not Going To Talk About The Kitchen Floor Incident Or Any Of The Other Leaks. Everyone's heard about the leaks coming from the White House. 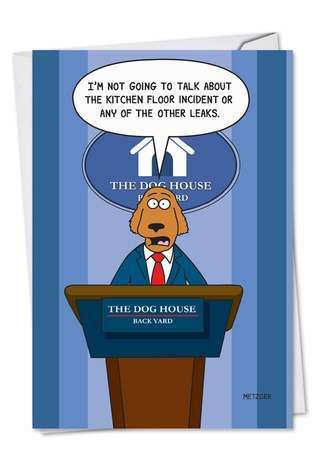 But the blue-suited, red-tied canine in this political birthday cartoon card putting the muzzle on any talk about the Dog House leaks. 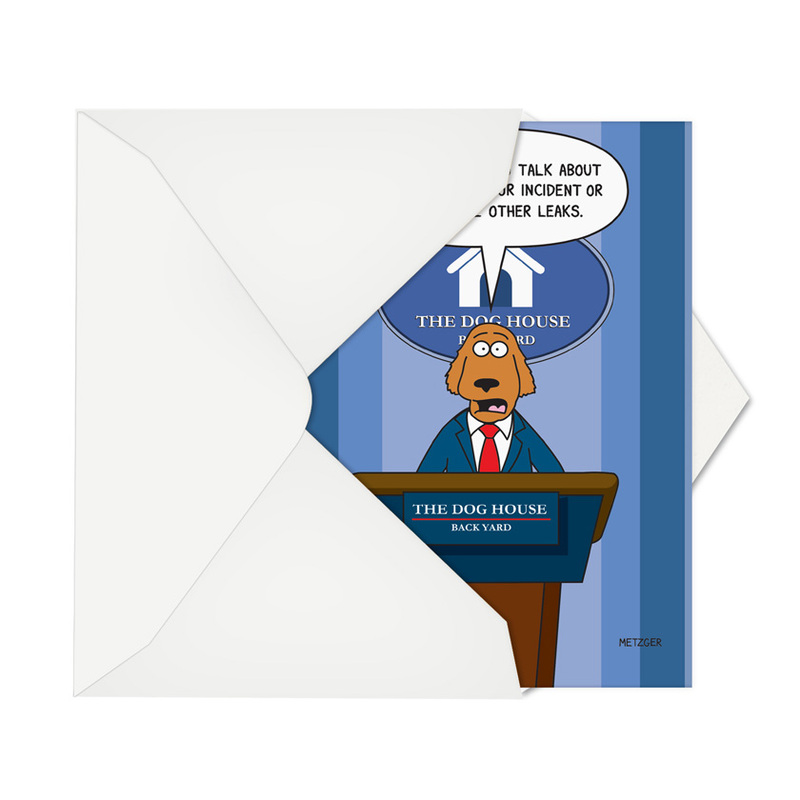 This funny and colorful birthday card will mutt with approval from any recipient; because it presents contemporary canine humor at its most scatological and hilarious, and presidential. This is one of the few political humor cards that both sides of the aisle can enjoy. 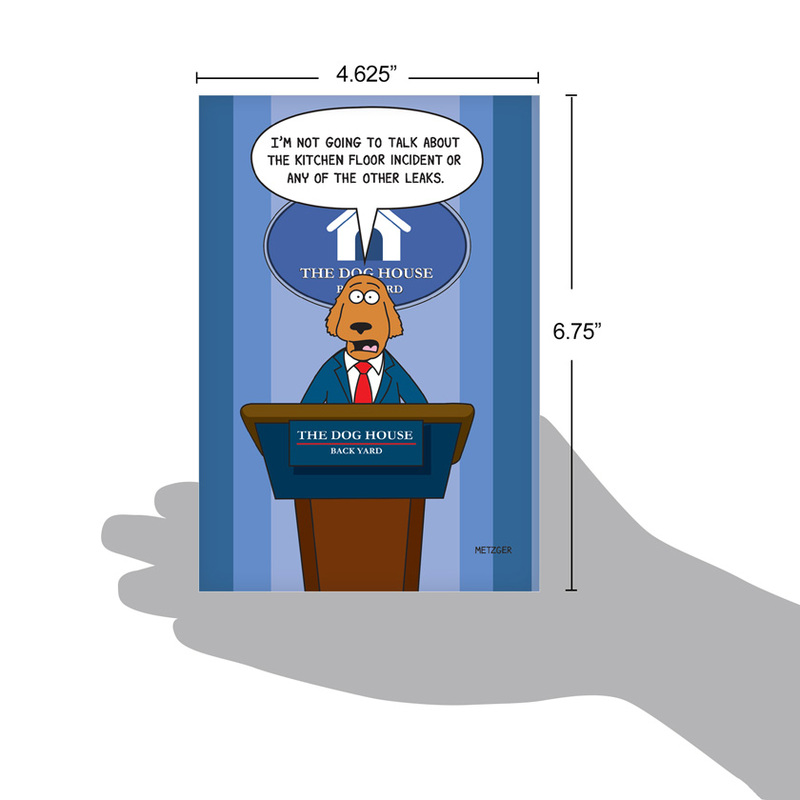 Scott Metzger's cartoons have been printed in numerous publications, and we love the way his edgy sense of humor is widely accessible. 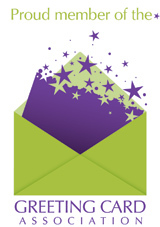 It doesn't matter if the recipient likes jokes about fake news or a certain someone's smoky eye - they'll get a kick out of the potty humor. 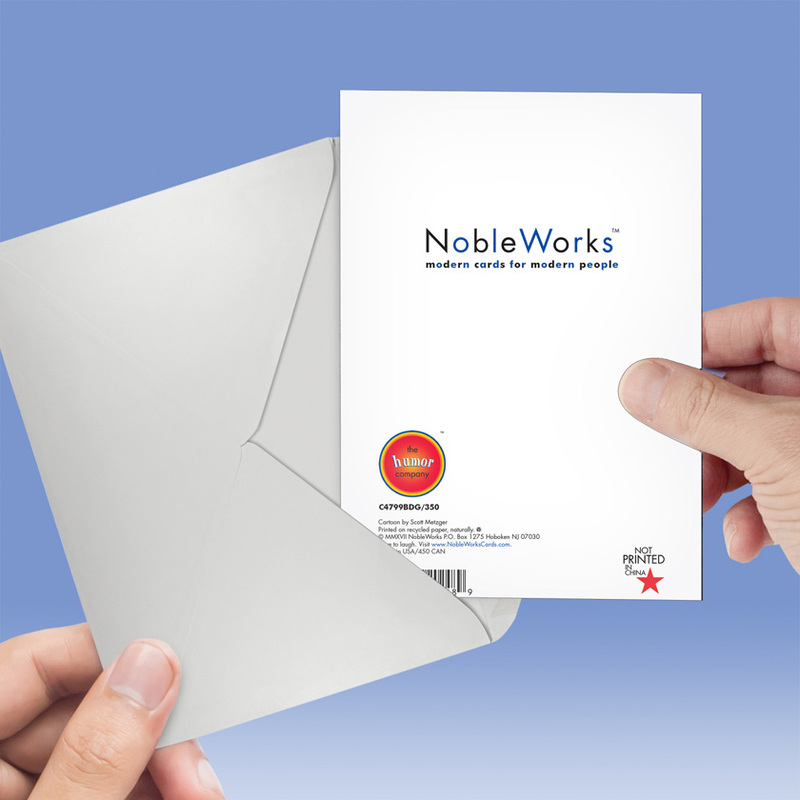 This card is proudly printed in the U.S., and is available in bulk quantities that help you save money with the more you buy. 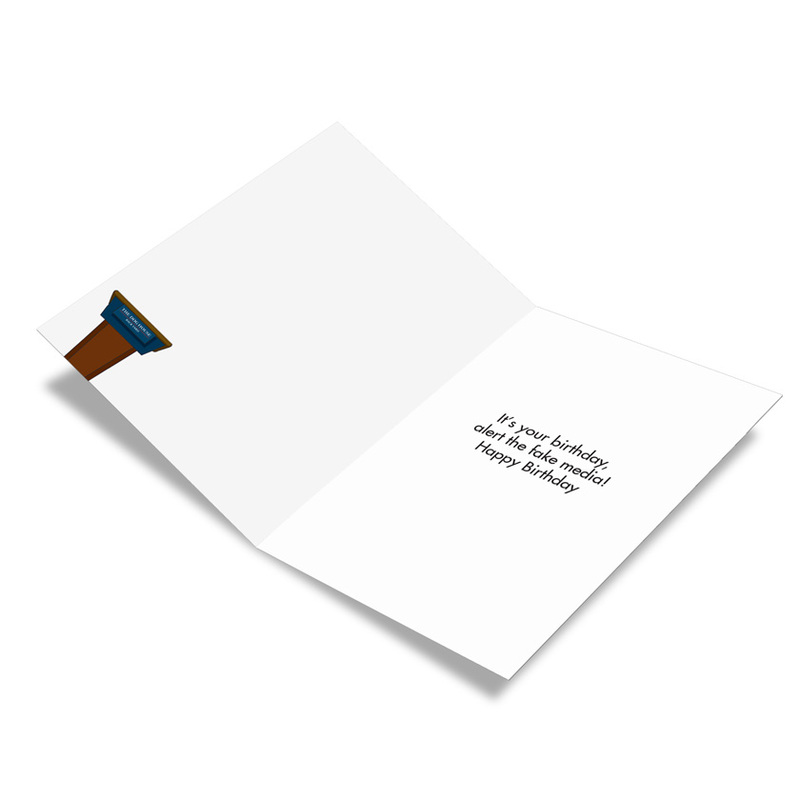 You'll get plenty of laughs from your political-minded friends with this hilariously funny birthday card.